Spiel, held in the town of Essen each October, is one of Germany's two major game conventions, the other being the Nuremberg International Toy Fair in February. While Nuremberg is a trade show – and therefore strictly business – Spiel is open to the public, drawing roughly 150,000 people over four days. Hundreds of new games will be introduced at Spiel 2011, which takes place October 20-23. This preview covers games that publishers plan to release at Spiel or in the months leading up to it. In most cases, these games will be new for most Spiel attendees. For some smaller publishers, I've included titles released since Spiel 2010. -----• This Preview is organized alphabetically by publisher, with games ordered alphabetically under a publisher's heading. -----• If a game appears in multiple versions, typically due to it being in different languages, then each version will appear under its own publisher. I will endeavor to note such things in the "Other information" section below a game's description. -----• This information is pulled directly from the game pages in the BGG database. Thus, as those pages are updated, this Geeklist will be updated, too. Yay, automation! -----• Not all of the information on a game's page is included. We want to provide enough details to let you decide whether to investigate further. -----• If you subscribe to this Preview, you will receive update notices whenever an item is added or edited. -----• As more details emerge, I will add publisher booth numbers, preorder information, game designer and artist signings, and much more. Note that this information has been cobbled together from dozens, nay, hundreds of sources, many in languages that aren't my native tongue, so inaccuracies may have crept in despite my best efforts. I will update game pages as I receive additional information, and your fellow BGG users will undoubtedly do the same, thereby keeping this Preview as up-to-date as the BGG database itself. If you're a designer or publisher with information to share – or you have details about an upcoming Spiel 2011 release – please send me Geekmail or email (wericmartin @ gmail.com). I'll respond as best I can given the tidal wave of data flowing through the game world in anticipation of the most exciting game convention in the world: Spiel! Common folk think you are a madman – but that's because they fear what they cannot comprehend. You’ll have to gather all your strength to beat the demon that inhabits the church. Be the first to defeat him otherwise it will be too late. This is the game for 2-4 players. Start your adventure and place 3x3 Outside location cards face down. Each player takes a book that was given to them. Place Inside locations, Adventure deck and Bosses near the board. Players start their turn by taking 1 card from Adventure deck then they must beat the ghost on location, play Adventure card and move. There are different types of cards (see rules). The main point of the game is to beat Boss with enough points in your collection. Compete with others by playing Action cards and Ghosts on them. But be careful not to give advantage to them. Taiwan is a beautiful island also known as "Formosa". It's time for you to travel around the island to explore the spectacular scenery, experience the interesting traditional activities, and taste all kinds of delicious food! By careful planning, you can have your friends to pay the bills for you. In Hello! Taiwan players are traveling around Taiwan by playing cards in 4 directions starting from the centered card number 8). Each card shows a destination and a serial number (from 1 to 15), which is to be placed following the ascending or descending orders. If you can't play a card with an appropriate number, then you must collect all cards in that direction and pay for the bills shown on each card. The one who spends the least travel expenses is the winner of this fruitful trip. This game is inspired by the dazzling sights the designer has observed during his bicycle trip around Taiwan. The graphics on the cards are developed from his hand-drawn postcards which shows the beauty of Taiwan in a variety of perspectives. "Hallo, Taiwan!" ist ein Kartenspiel mit 108 Spielkarten, erfunden und gestaltet vom taiwanischen Zeichner AZA. Auf den Karten abgebildet sehen wir 40 verschiedene Motive, die kulturelle Eigenheiten Taiwans widerspiegeln. Jedes Motiv wird durch kurze Texte anschaulich erklärt. Der Spielmechanismus ist weit interessanter als der von herkömmlichen Kartenspielen wie z.B. Maumau und lässt die Spieler auf lustig-leichte, schnelle und doch informative Art die kulturelle Vielfalt Taiwans kennenlernen. Fuer Taiwan-Souvenir-Jäger gilt: Diese Kreation AZA's darf nicht in der Taiwan-Kollektion fehlen! Other Information: • Booth 5-55 with Swan Panasia and a few other publishers. In Kings Plate, based on the traditional Japanese chess game Shogi, the player's goal is to checkmate the opponent's king. To do this, you must use the various units in your army, with each unit having different abilities in terms of movement and special actions. Players can create their own armies from the cards included in the game, thus forcing them (and their opponents) to rethink their strategy each game. Kings Plate: Card Game - Series I includes a king for each player and a variety of army units. These cards include suits and ranks as in a regular deck of cards, and they can be mixed with the other series in the Kings Plate family. 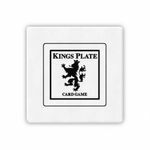 Other Information: • Kings Plate: Card Game Series II and Series III are also available. Each can be played independently or combined. To do this, you must use the various units in your army, with each unit having different abilities in terms of movement and special actions. Players can create their own armies from the pieces included in the game, thus forcing them (and their opponents) to rethink their strategy each game. 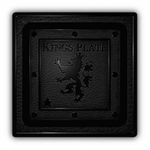 The "Classic" edition of Kings Plate comes with a plastic game board and metal pieces. Galáxia S.A. is an exciting game where player will build an intergalactic economical empire! The players will dispute every single piece of the galaxy by acquiring the right to explore planets that produce several goods. These are to be sold at the intergalactic market. But the galaxy is a dangerous place and your opponents will use cunning and intrigue to make your journey harder. Come aboard this adventure and become the most successful cosmic tycoon! With a fresh look and a high replay value, the game will give players hours of fun. Galáxia S.A. é um emocionante jogo de construção de um império econômico estelar! Os jogadores disputam cada pedaço da galáxia, adquirindo o direito de exploração de planetas que produzem diversos bens e devem vendê-los no mercado intergaláctico. Mas a galáxia é um lugar perigoso, e seus adversários usarão de artimanhas e intrigas para atrapalhar a sua jornada... Então embarque nessa odisséia para tornar-se o mais bem sucedido magnata cósmico! Com um visual inovador e com uma alta rejogabilidade, o jogo proporcionará aos jogadores horas de diversão. Cosmic Mogul is a non-collectible card game for 3-4 players. During the game, players become cosmic moguls, searching the galaxy for new worlds to exploit as they build their economic empire one planet at a time. Magnata Cósmico é um jogo sobre comércio interplanetário e compra de planetas. Os jogadores podem comprar planetas, negociar bens a comprar tecnologias, criando um império econômico. De 3 a 4 jogadores. A Arte e o Design/Gráfico por Michael Christopher. 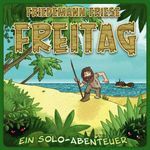 • Black Friday was the first game to result from Friedemann Friese's "Freitag" project, in which he works only on Fridays on games relating to Friday in some manner in lengths of time that start with "f" (five hours, five-and-forty minutes (as the Germans would say), etc.). 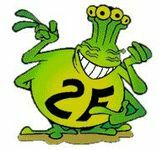 You can read his German-language Freitag blog on the 2F-Spiele website. Power Grid: Supply Contract (Funkenschlag: Der Liefervertrag) is a promotional card for Power Grid. Originally available for a donation at the 2F-Spiele booth during Spiel 2011, Supply Contract was also included with Spielbox 2013/#1, and has been available through the BGG Store since November 2012. 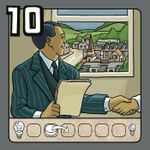 The Supply Contract lets you permanently move one step back in player order, both immediately after the card is purchased and each round after player order is determined; hopefully you have enough cash in hand when this card shows up in the power plant draw pile. • Dale Yu and other writers have previewed Funkenschlag: Die ersten Funken on Opinionated Gamers. You finally have a new opponent for your Power Grid games: a robot that acts as an additional player. Thanks to his different actions and special abilities he is a strong opponent. You will manage the robot's "decisions" and can use him to act against the other opponent(s). —The traditional new animal for Michael Schacht's Zooloretto. —The Zooloretto: Iberian Lynx, previously available at LeiriaCon, a Portuguese game convention, in 2010. Now you can get Lynxed as well for a small donation. —The annual Zooloretto Fair Special, which in prior years was a newsprint publication with news and game variants. —A special board (#20) for Schacht's Valdora. —A bonus item for Schacht's Gold!, which was released in early 2011. —The Airlines Europe item listed below. —Saturday, Oct. 22, 14:30 - Expedition Africa (working title); Schacht's description: "In Expedition Africa you will meet with the unique book mechanism again from the game Valdora, this time with up to four expedition societies exploring the African continent of the 19th century." —Saturday, Oct. 22, 17:00 - Zooloretto Dice Game (working title); Schacht's description: "The Zooloretto Dice Game offers the well-known game priciple in a compact style with a special appeal." 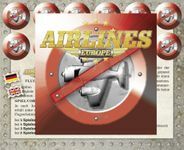 Airlines Europe: Flugverbot – a free expansion distributed at Spiel 2011 – provides players a blocking variant for Alan R. Moon's 2011 release Airlines Europe that, in the words of Abacusspiele's Matthias Wagner, "should make the board/routes slightly tighter". Other Information: • Freebie expansion available at the Abacusspiele booth – and if history is any guide, these will be gone by Saturday at the latest. Each Anno Domini set consists of 336 cards, with a description of a historical event on one side of the card and the year (and sometimes specific date) in which it happened on the other. Anno Domini: Süden focuses on historical events related to "the south". This relationship is not necessarily obvious. Like all Anno Domini sets, this game can be played as a standalone or mixed with some or even all editions. In Anno Domini: Süden, each player receives nine cards (or fewer, if you want the game to be shorter) and may look only at the descriptions. In turn, players place a card on the table, trying to place their card in chronological order to those already present. Instead of adding a card, a player may claim that the order in which the cards have been placed is incorrect. In this case all cards are turned over and the correct years revealed. If the order is correct, then the doubting player receives two cards and skips a turn. If the order is incorrect, then the previous player – who accepted the order as correct or made it incorrect through her own placement – receives three cards. The first player with no cards remaining in hand wins. Unusual, tetrahedral board with 121 dice in three colors. A series of games, some involving dexterity, other abstract movement. A gaming system in which the inventor encourages players to devise new games. Aesthetically interesting. First published by Edition Perlhuhn in 1980 (301 dice for 57 games), by Kosmos in 1986 (281 dice) and re-issued by Abacus in 2004 with 166 dice and fewer games. In 2011, Abacus revived it yet again, but with only 121 dice. The Kosmos edition shows age range "4-99" on its box, the latest edition shows "6+" instead. Smaller than Reinhold Wittig's Spiel, tinier than the Spiel expansion 55, Abacusspiele presents Wittig's Spiel Mini, which consists of a pyramidal base, twenty dice of the same color, and a plastic lid to keep everything in place. Like Wittig's Spiel, Spiel Mini is a game system in which users are encouraged to create and submit their own dice games to Abacusspiele for inclusion in the produced version of the game. Spiel Mini will initially be released at Spiel 2011 in a "barebones" edition that includes all of the components and none of the rules. Other Information: • MSRP €7.50; discounted price at Spiel 2011 is €5 and free with the purchase of the new edition of Spiel. • For Spiel 2011, Abacusspiele is selling a "bare bones" version of Spiel Mini which includes all of the components – pyramidal base, twenty dice and a plastic lid – and none of the rules. Says Abacus' Matthias Wagner, "We ask all players to submit their own games for the mini pyramid, and we will include the best games in the retail edition (the same as with all the games in the different Spiel editions since 1980). We will have prizes for the best games but don't know exactly which or how many yet. Right now, orange and green minis are planned, but other color suggestions are welcome." • Update, Oct. 18: Wagner says, "We have a lot of different colors available, so you should find the color of your choice." With the sun setting in the horizon, adventurers glide in on their flying carpets, searching for valuable treasures in palaces and bazaars. But steering a flying carpet to the proper destination is a lot trickier than it sounds. A strong wind can push a carpet off its course and into a desert, even though its intended destination was the camel bazaar. But maybe the magic lamp can still save the day? In Fliegende Teppiche ("Flying Carpets"), players try to guide their flying carpets to the most attractive destinations to score the most points – and by "guide" read "toss" as the carpets are actually cards. To set up the game, each player receives one carpet (two in a two-player game) and a set of genie cards. Shuffle the 52 destination cards. If a carpet lies on no destination cards (or is only underneath cards), return it to its owner, who receives nothing. If a carpet is alone on top of one or more destination cards, the carpet's owner claims these cards, whether or not he wants to. If more than one carpet is on a destination card, the players involved simultaneously reveal one of their genie cards. The player with the highest genie claims the destination card, then swaps that genie with the player who revealed the lowest genie. If four or more destination cards are still on the table (and they're not all deserts), fly the carpets again. Once fewer than four cards remain, compare the number of palaces held by each player (with magic lamps counting as a palace if a player chooses to do this). The player(s) with the most palaces scores five points, while the player(s) with the fewest loses five points. Remove palace and used lamp cards from play, then pass the destination deck to the next player, who lays out twelve more cards. Players toss carpets, etc. Once all players have laid out cards once (twice in a two-player game), the game ends. Players score additional points for claiming pairs of matching bazaars (5-7 points), sets of different adventure cards (1-15 points), and treasures (3 points), while losing five points for each desert claimed. Magic lamps can cancel a desert or be used as a wild card. The player with the most points wins. Roar like a lion, waddle like a duck, draw an elephant on the table, explain what a dolphin eats, and tell where a bear lives: In Kikerikimäh! ?, for two players or 3-6 players, whoever can do that the best, leading the other players more often than not in the right direction, will win the game. To set up the game for 3-6 players, shuffle the 56 animal cards, then deal out cards as evenly as possible among all the players. If a player receives a matching pair of animal cards, remove these from the game as they are not needed. Shuffle the challenge cards and place them in the middle of the table. On a turn, the active player draws the topmost challenge card – with challenges being something that you draw or describe or imitate, e.g., "describe the animal's feet", "using your fingers, mimic how the animal walks" or "describe or show how the animal eats". This player draws the topmost animal card from her deck, then completes the challenge as best she can. Each other player then looks through their personal deck of animal cards, chooses one animal they think best matches the description or sounds given, then reveal these cards simultaneously. If someone has matched the active player, those two cards are removed from play; likewise, if any two players have revealed matching animals, those cards are removed from play. All other animals are returned to their owners' decks. The next player then undergoes a challenge, and so on. As soon as one or more players have no animal cards remaining, the game ends and those players win. In the two-player game, each player takes a set of animal cards and they take turns doing the challenges. If the non-active player reveals the right animal card, those cards are removed from play; otherwise, the challenger's card and the matching card from the other player's deck are placed in the middle of the table as a penalty point. The goal is to score as few penalty points as possible. In Marienkäfer und so, ladybugs and other insects are crawling all over the cards. Try to find them based on their silhouetted profiles before the other players do – but that's not easy as the insect marked through on your search card must not be anywhere on the insect card! The 63 insect cards feature three colored insects (all different) on one side of the card and three silhouetted insects on the reverse side, with one of those insects having a large X through it. Shuffle the deck with the black-and-white images face up, then deal one card to each player; this card is a player's search card. Play continues until the final insect card has been slapped. Whoever has the most cards in his search deck wins. For children as young as age three, Marienkäfer und so can be played with players taking turns consecutively instead of playing simultaneously. If a player can claim a card, he does so, making it his new search card; otherwise he removes it from play. A second game is included in Marienkäfer und so. Shuffle the insect cards black-and-white side face up, then deal seven cards to each player. All players simultaneously flip their top card color-side up onto the table, then race to slap an insect card in front of another player that matches the search criteria on the newly revealed top card of their personal deck. Each card can be claimed by only one player, i.e., whoever slaps it first. If a player slaps a card correctly, he places it on the bottom of his deck black-and-white side face up; if a player slaps a card incorrectly, his current search card is removed from play. All unslapped cards are also removed from play. The game ends when one or more players have only a single card in their deck; the player(s) with the most cards in their deck(s) wins. Between Timbuktu and Gao, Tuareg nomads are busy loading their camels with water, gold, rock salt and millet before making the seemingly endless journey to the next oasis. Whoever is able to arrive with the most valuable resources will garner the best profits. But it's not as easy as it first may appear as other Tuareg are secretly hiding their goods in caves and may steal away some of your business when they unexpectedly show up with goods that are more valuable than yours. Tuareg consists of two stages in which each player tries to gain a majority of the various resources. At the end of each stage points are awarded for a majority of a resource, as well as for strategically played special cards (donkeys, caves, thieves and maps). Draw three resource cards from the deck, placing one in the market and holding on to the rest (up to a maximum hand size of four, with excess cards also going to the market). Load one of your camels with goods from your hand. Each camel can hold up to four cards, with at most two types of goods. Water can't be mixed with another resource, and a camel can carry no more than two gold. Take up to four cards of the same type from the market and load them onto a camel following the loading rules. Buy a special card for 3 dinars, paying for the cost by discarding cards from hand or the top of a camel's load. The special cards give you additional places to store cards (donkey or cave, each with different rules), a way to steal cards (thief) and a way to score bonus points (map). Once the resource deck runs out, players take one more turn, then sort their resource cards on camels and donkeys and in caves in piles of particular types; whoever has the most or ties for the most of a type scores points. Used special cards are returned to their stacks, and players can optionally cash in unused special cards for one point each (or two points for a map). Players then shuffle the resource cards and play a second stage following the same rules, starting with cards in hand from the first stage. After the resource deck runs out again, players score majority points and special cards once again. The player with the most points wins. Familiengeflüster, which is aimed at families with small children, is about the wishes of the different family members. The game starts with family members writing down their wishes by finishing a sentence on a randomly selected card, such as "You will ... together with me." Then, they select a family member who should fulfull their wish. In the next round, they try to communicate their wish by drawing it on the back of another player. If they can communicate their wish correctly, they gain a happiness card; otherwise, they gain an out-of-luck card. Finally, all players vote on which wish is the best, to determine a "family wish" that should be carried out before the next game of Familiengeflüster. We shall never know whether the bold samurai was taking the cup for himself or only to hand it to his venerable companion. It does not matter: all warriors take offense and draw their katanas, joining the fight at the call of "SAAKEEE!" In Sake & Samurai you are a fierce and thirsty samurai warrior, willing to do anything to get the last cup of Sake. The winner is the most drunk samurai – in game terms, the player who has collected the most Sake drink counters – at the end of the Sudden Death round. Be wary, though, for drinking too much will dull your wits and mastery with the sword. Each drink of Sake prevents you from using one of your resources, be it a weapon, an item, or even your personal skill! You must always be wary not to drink too much or you risk becoming a defenseless sot in the hands of your enemies. On the other hand, you will be able to burn up some of the Sake you have drunk to obtain significant bonuses which may well save your life. Show yourself as the wise warrior you are and balance your strategy with care, not burning up too much Sake, thus finding yourself in the rear at the end of the game, when the Masu is empty and the Sudden death round begins. Those who will succumb to their enemies' blows won't be eliminated from the game, but will become Spirits of Enma, the thirsty god of death, and team up with the other Spirits to attack the living, aiming to steal their Sake. Raise your glasses (and your katanas)! 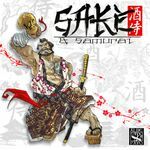 Sake & Samurai is a board game for 3-8 Players about honor, blood and Sake. 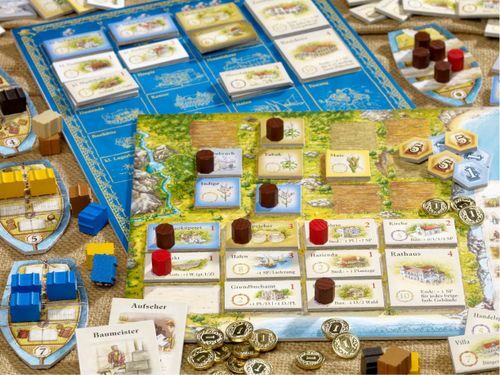 It is both a standalone game and an expansion for Beer & Vikings..
Other Information: • Andrea Ligabue interviewed designer Matteo Santus for BGG News in July 2011. This deluxe game of Puerto Rico began as Puerto Rico: Anniversary Edition, a tenth anniversary edition of Andreas Seyfarth's Puerto Rico that celebrates Puerto Rico's debut at Spiel 2001 with a production-ready copy that met mass acclaim. Game play is the same as the original Puerto Rico game: The players are plantation owners in the days when ships had sails. By growing up to five different kind of crops – corn, indigo, sugar, tobacco, and coffee – they try to run their business more efficiently than their close competitors: growing crops and storing them efficiently, developing San Juan with useful buildings, deploying their colonists to best effect, selling crops at the right time, and, most importantly, shipping their goods back to Europe for maximum benefit. The game system lets players choose the order of the phases in each turn by allowing each player to choose a role from those remaining when it is his turn. No role can be selected twice in the same round. The player who ends up with the most victory points – achieved by shipping goods and building – wins the game. 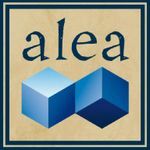 Puerto Rico: Anniversary Edition and its follow-up versions include two expansions: Puerto Rico: Expansion I – New Buildings, that first appeared in 2002 in Spielbox magazine and was later published by alea and Rio Grande Games, and the Puerto Rico: Expansion II – The Nobles expansion from alea's Schatzkiste collection of game expansions. The game has completely redesigned components and artwork: The cardboard doubloons are now sixty metal coins, while the fifty octagonal resources have been replaced with colored wooden crates. The building tiles are now illustrated, and the cardboard for those tiles and other components are nearly 3 mm thick to give the bits more heft. The individual player boards, the VP tokens, the ships and other components have also been redesigned. Other Information: • Price €60. • Developer Stefan Brück has noted that Puerto Rico: Die Jubiläumsausgabe will debut at Spiel 2011 (with no preorders being taken or needed), then be available through the trade afterwards. Jay Tummelson at Rio Grande Games has previously stated that he's investigating the idea of releasing an English-language version of this item, but has not reached a decision as to whether to do so. • Filip Fučić at Amalgam Games says that the publisher might have a second published game on hand depending on how production goes, but in any case it will have additional, mostly finished prototypes. It is the year of our Lord 1603. The Uskok Warlord Radoslav died during the last Venetian raid. All the Uskok leaders, including you, were invited to Nehaj, the unconquerable Uskok fortress, in order to choose their next Warlord. Dark storm clouds loomed over the stone fortress, its walls battered by the bitter nothern gales, and yet the Uskok leaders could not come to an agreement. Mighty warriors though they were, none of them had proved to be enough to their comrades, so no Warlord had been chosen. As midnight struck, the debate was cut short by a shot from a flintlock. The hall went silent. The old sea dog Stipe spoke: "According to ancient customs, if no agreement is reached by midnight, the title of Warlord shall go to the first lord who collects enough loot to fill twenty-five Uskok vessels." So it was written, and so it was done. Uskoci were a historical pirate band in the 16th century who lived and prospered by being a nuisance for much more powerful opponents, but never on such a scale to provoke full-scale retaliation. 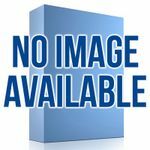 Uskoci: The card game of Croatian pirates takes that idea of heart as players need to demonstrate both their skill as a pirate and restraint comparable to the historical Uskoci to prove the best captain among your peers. In the basic game, players must combine treasures (valued 1-9) on their pile until they total exactly 25; what makes this difficult are the 14 event cards (Venetians, traitors, storms) that can mess with a player's plans or change the value of a treasure, but thankfully they can also protect you. The more complex game adds card drafting to the mix, with the player who has the least treasure on the table drafting the most cards. The rules in both games are for 3-6 players, with modifications that allow two players to go head-to-head. 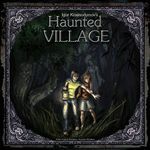 • Separate English and German versions will be available at Spiel 2011. 1 to 23—these are the cards that will be played in ascending order over the course of the game, but doing so is trickier than you might expect as there are limitations in doing so—not to mention opponents who will love to thwart you. In 23 whoever makes too big a jump from one number to the next must take penalty chips, and whoever collects the fewest chips after two passes through the deck wins the game. 23 is played with a deck of cards numbered 1 to 23, with one "1" card, two "2" cards, and three each of the cards 3–23. The game is played in two rounds. At the start of the first round, each player receives three bonus chips. At the start of each round, each player is dealt a number of cards. He then discards three cards face down back to the box. The player that has the "1" begins the round by playing it. After that, each player has to play cards in ascending order. On his turn, a player can play one or more cards with the same value. If these cards have a value that is equal to or one higher than the last card, this is allowed without any penalties. If the cards are more than one higher than the last card, the player receives one penalty chip for each point of difference. If a player pays a bonus chip, he may play cards that have a value up to five lower or higher than the last card. A player who plays his last card may discard three penalty chips. Instead of playing cards, a player can also pass. If he does, he receives one penalty chip. Alternatively, he can pass and force the next player to play cards. In that case, he gains two penalty chips. If a player does not want to play any more cards, he can leave the round. In that case, he receives one penalty chip for each card he has in hand. After the second round, each player may discard two penalty chips for each bonus chip he has remaining. The player who has the fewest penalty chips wins. 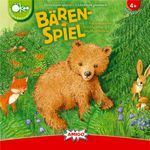 In Bärenspiel, players try to rescue a little bear lost in the great forest. Rolling special dice, players must first construct a map of the forest, find the bear, then help it out of the woods, working together to overcome one obstacle or another. Once the bear is located, players are allowed seven rolls of the dice to get it clear of the forest. If they fail to do so, they lose the game and the bear eats them. The 2011 AMIGO edition is part of its "Ökologisch + Kooperativ" (Ecological & Cooperative) line of games. Contents: 100 animal cards with 5 different animals, each in 5 different colors. Short description: The players try to get rid of their animal cards. They add the cards to the tableau in rows and columns building sets of matching colors or animals. A set contains a maximum of 5 cards. A player adding the fourth or the fifth card (-> Big Five) to a set is given a bonus (discarding card(s)). The first player to have no cards left on his pile wins the game. The Bridge to Treasure Cave', first released as Die Brücke am Rio D'Oro, is old and brittle – no, not the game itself, but the bridge that spans the river, the bridge that connects explorers to the treasure cave on the other side of the gorge. But who will be first to cross this dangerous path? Players must exercise the highest level of caution because a rotten plank of wood in the bridge might break at any time, causing the player – or worse, some of the precious treasure – to plunge into the gorge. What's more, the other treasure hunters will be only too glad to pilfer your finds should you give them the chance. Pilfer, which allows you to steal a treasure from another player, if you land on his location. 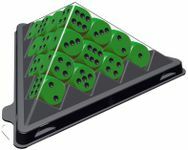 There are three dice: a green die, which in general permits only slow, but safe movement, a yellow die, which gives a good chance to pilfer treasure, and a red die, which allows for fast, but risky movement. The number of treasures you are carrying determines how many dice you may roll: the more treasures you carry, the fewer dice you roll. After rolling, you select one die to execute. If you reach the treasure cave, you can immediately claim up to three treasures. If you reach your camp, you may unload your treasures and prepare for the next crossing. If you end your move at a gap in the bridge, or if the bridge collapses under you, any treasures you are carrying are lost in the river, and you return to your base camp. At the beginning of the game, the cave holds 25 treasures. The first player to carry a certain number of treasures (depending on the number of players) back to his camp wins. Alternatively, if no player has acquired that number of treasures before all treasures have been claimed or lost in the river, the player who has collected the most treasures wins.